Quality is NeoLife’s highest priority, and it is the Scientific Advisory Board that sets the quality standards and expectations for all NeoLife products and the ingredients that go into them. Everything that goes into each NeoLife product – every supplier and all raw material ingredients – must qualify before they can be used by meeting our strict demands for purity, potency, consistency, origin and other critical quality factors. Through our integrated global supply structure, all of this is monitored and managed by teams of highly skilled people in a state of the art quality assurance program that is unsurpassed in our industry. Where something grows, how it grows, even the seed stock from which it is grown can be important determiners of quality. Our standards demand that only raw ingredient sources meeting our strict qualifications and highest standards, such as fields in the least disturbed and most natural environments available be selected. These specifications also allow us to assure that all of our whole food concentrates and extracts are beyond organic and GMO-free. Crops are monitored and assessed even before they are harvested. This assures the very highest quality at the outset and also allows us to precisely track crop lots. Early monitoring is performed on fruits, vegetables and grains and all other materials we use for NeoLife products. 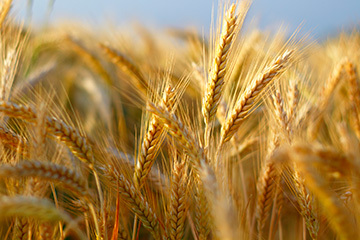 Our qualified ingredient suppliers also carefully select the very best time of the year to harvest crops in order to ensure both quality and the highest nutrient content. Because of these same demanding standards, crops are continually analysed for nutrient content and quality leading up to processing. How a crop is processed is another key determiner of quality. That is why only state of the art equipment is used that guarantees the purest extractions and concentrates with an absolute minimum of processed alteration. Purity and potency are crucial to maintaining quality. All ingredients are held under strict quarantine and cannot be released for use until laboratory tests for purity and potency are verified. Once the raw materials are processed to our specifications, they are delivered to our socially responsible manufacturing facilities. These facilities are routinely audited to ensure that they are operating in a manner that guarantees the highest quality manufacturing with the lowest environmental burden. State of the art equipment combines various raw materials into different forms with maximum efficiency guaranteeing consistency from batch to batch. Leading edge science continues to define NeoLife’s Quality Control System. All final products are tested and certified by the most reliable and validated scientific methods to ensure safety, quality and effectiveness. 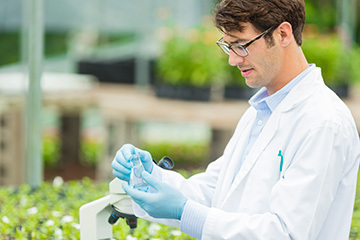 These methods are very important, but more importantly are the highly trained and skilled scientists that perform them that ensures that all of our quality standards for purity and potency are met. 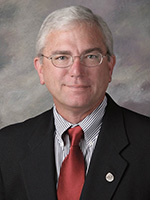 Ongoing inspection and sample retention guarantee a future of quality. Meticulous inspection continues on the packaging line, and production samples are collected and retained to facilitate future tracking. Each NeoLife product is the end result of top quality work by leading scientists, researchers and nutrition professionals – work that is based in state of the art technology and manufacturing and the very latest in science. Even after NeoLife products are delivered to your door, batch numbers on every label allow us to answer your questions on ingredients or quality. 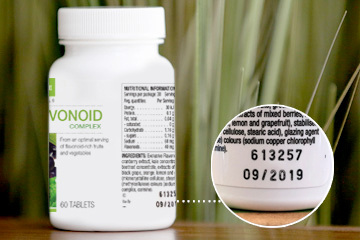 The batch number that appears on every single NeoLife product acts as a window into the system that allows us to track every ingredient from its point of origin to its ultimate destination. This batch numbering system is very important and highly documented so that NeoLife has full traceability forward – to the ultimate product destination, your home – and backward to the exact source of every ingredient. When a crop lot is first planted, the seeds themselves have a seed lot number assigned that ties to the origin and the quality testing performed. The growing crop itself is assigned a crop lot number which identifies where it is grown, how it was grown and how and when harvested along with all analytical, quality testing results. When the crop lot arrives for further processing, extraction or concentration, another processed ingredient lot number is assigned which aids in tracking the material through the supply chain and tying in all quality tests related to the processing. Upon arrival at one of our manufacturing facilities, ingredients are assigned yet another lot number which identifies arrival dates, testing results and release for manufacturing dates. When ingredients are combined into a finished product, that batch of product is assigned a unique batch number which identifies all of the specific ingredient lots that went into producing that particular batch. This is an important code number that allows NeoLife to identify every ingredient lot that went into the product, as well as how the product was manufactured and every quality test performed on the production batch. Ultimately, when the batch of product is packaged, it is assigned a packaging batch number which appears on our product labels. This is the very important code number that allows NeoLife to trace every product forward to your home and every product ingredient backward throughout the entire supply chain to the very origin of every single raw material – Farm to Table. NeoLife’s intricately developed batch numbering system yields a charted pathway from the Farm to the Table and guarantees you and your family the finest purity and potency and highest quality products available anywhere. At NeoLife, Product philosophy is quite simple: absolute, unwavering pursuit of quality without compromise. We believe that the right decisions about our bodies and our homes – deciding what to put into them and what to keep out of them – are among the most important decisions of our life. When it comes to our health, and the health of our children and families, there’s simply no room for compromise. For any entrepreneurs out there who have a passion for sharing good health… NeoLife is redefining the world of startups. Put simply, it’s like a tech start-up, but with nutrition. There are low barriers to entry because NeoLife provides the infrastructure that any successful business needs, as well as consumable products and a compensation plan. So instead of having to raise hundreds of thousands of dollars to get started, it makes entrepreneurship accessible to everyone. You can own your own NeoLife business and it can be passed down as an income-generating asset to future generations. For more information please visit NeoLife.com or call AU 1800 637 057 or NZ 0800 445 049. To learn how to build a foundation of good nutrition for you and your loved ones, visit ShareNeoLife.com.au or ShareNeoLife.co.nz.